The Microsoft Kinect was originally designed as a gaming device, and while it was used in some games, it’s looks like people are finding other uses for it. 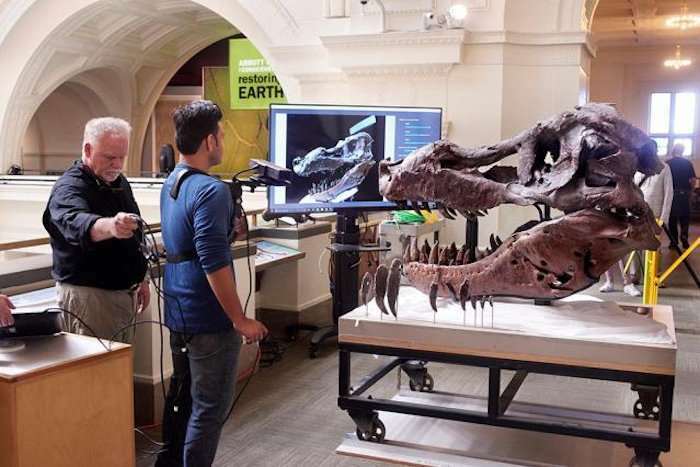 Researchers recently successfully used the Kinect to scan the skull of a Tyrannosaurus rex. It is for more than just gaming these days. The researchers had previously used high-resolution dental scanners, but after discovering that the scanner could not handle a jaw of that size, they decided to use the Kinect along with some free software and ended up scanning the entire skull of the dinosaur. I can’t help but wonder how many other uses the kinect might have. In the past the Kinect has been used to treat patients with multiple sclerosis, shopping, and even stroke recovery. It is becoming quite the tool.